Cataloging bathrooms is a clear example of field research, and the primary technique for our field researchers will be to visit buildings and businesses, take notes, take a digital picture (if the bathroom falls outside of expected norms), and describe the location of the bathroom. If this were a scholarly or scientific study, one of the things we’d want do to is have two observations to ensure each measurement is correct. However, in this case, it makes sense to accept the field notes of each researcher as a valid data point, and allow for comments in the blog to correct errors. More important to this project is the question of comprehensiveness. While cataloging 100% of Lubbock bathrooms is impossible, the project aims for a good degree of coverage in order to be a trustworthy snapshot of bathroom safety. For the first few months of the project, we should catalog every bathroom we encounter. Having built an initial list of bathrooms, we should then look at the map and identify areas (buildings, campuses, businesses) we have missed, and then assign field researchers to visit those areas. One area that we need to discuss is what specifically we are observing. One perspective on this project is that it is designed to note ONLY those facilities that are safe (defined as gender neutral, or gendered-but-OK, and so on). These are the types of lists you see from the University of Texas and other places. And it makes sense that this type of list is the most reasonable guide for people who are looking for safe bathrooms. However, another perspective is that we should catalog all bathrooms, a noble goal, but probably overkill. However, it *is* important that we visit all bathrooms to check their degree of safety for gender-variant people, and their degree of accessibility for handicapped people. Thus, while we don’t want to collect full data for every conventional bathroom in Lubbock, we do want to keep a map of places visited so that we can have some confidence that we have achieved coverage. 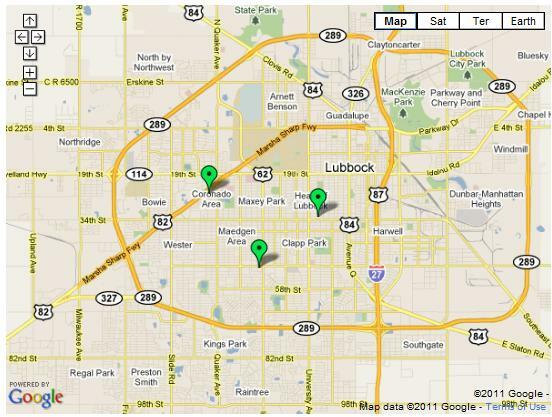 A different type of coverage (or maybe a scope) issue involves how far afield of Lubbock we will go. On the one hand, it feels methodologically good to limit the scope of the project for the sake of research rigor; on the other hand, we see no need to turn away data about a gender-variant safe bathroom in the area, whether it falls inside Lubbock proper or not. Thus, I think any good information is fair game for the project. In making a list of gaps to send our researchers to visit, however, I do think we want to limit the scope of the project. We might think of this in two stages (or levels of scope). The first is Lubbock proper, and would include the contiguous city (i.e. no break in houses and businesses), and the second might include the greater Lubbock area to include the rest of Lubbock County. And if the project is successful, we will consider a third level of related, and nearby, towns like Levelland, Wolfforth, Littlefield, Brownfield, Post, and so on. Since Lubbock is home to several educational and governmental institutions, we think a good case can be made that Levelland should be included as part of a catalog of South Plains College bathrooms. We should employ two types of methods. The first is our members, via raised consciousness, should be on the lookout as they go about their daily lives. When they see a gender neutral bathroom, they should send the project the information so that it can be cataloged. At the same time, if they visit a business, clinic, or any of our targeted places, and find no safe, accessible bathrooms, then they should let the project know so that we can make a note that this business has been covered. The second type is an organized grid sweep, where an individual or a group of researchers undertake a thorough survey of a given area. For example, the TTU GSA might set goals of surveying Texas Tech’s buildings, keeping track of what’s been visited and what remains to be visited. These surveys don’t have to be done all at once; a group of researchers can set a goal of one area/block/business per day/week/month/semester. The primary data we’re collecting information about is safe, accessible bathrooms, their locations, and notes about those locations. However, in the interest of thoroughness, we also need to know what areas have been surveyed and have turned up empty. Doing so will give researchers better information about where to survey and will give the project in general a better sense of having been thorough. We want researchers to gather their data any way they see fit, whether by means of a reporter’s notebook, a smartphone, or a laptop computer. How you contribute to LIST’s research is a matter of a) observing and b) reporting. What’s important is that you collect the information we seek and to be accurate and thorough in your observations. See the table below for a list of the types of information we seek. The methodology we are employing is called Field Observation. If you look at the scholarly literature, most of the advice and theory relates to observing people and groups of people in their natural settings. The LIST project is observing physical and observable things, and thus no humans are being observed, no permission is required. Observational techniques are methods by which an individual or individuals gather firsthand data on programs, processes, or behaviors being studied. Field notes are frequently used to provide more in-depth background or to help the observer remember salient events if a form is not completed at the time of observation. Field notes contain the description of what has been observed. The descriptions must be factual, accurate, and thorough without being judgmental and cluttered by trivia. The date and time of the observation should be recorded, and everything that the observer believes to be worth noting should be included. No information should be trusted to future recall. This is a descriptive method, not an explanatory one. It is also not appropriate for statistical analysis.